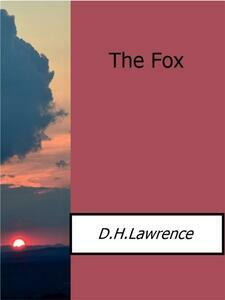 The Fox is a novella by D. H. Lawrence which first appeared in The Dial in 1922. Set in Berkshire, England, during World War I, The Fox, like many of D. H. Lawrence’s other major works, deals with the psychological relationships of three protagonists in a triangle of love and hatred. Without the help of any male laborers, Nellie March and Jill Banford struggle to maintain a marginal livelihood at the Bailey Farm. A fox has raged through the poultry, and although the women—particularly the more masculine Nellie—have tried to shoot the intruder, he seems always to elude traps or gunshot.